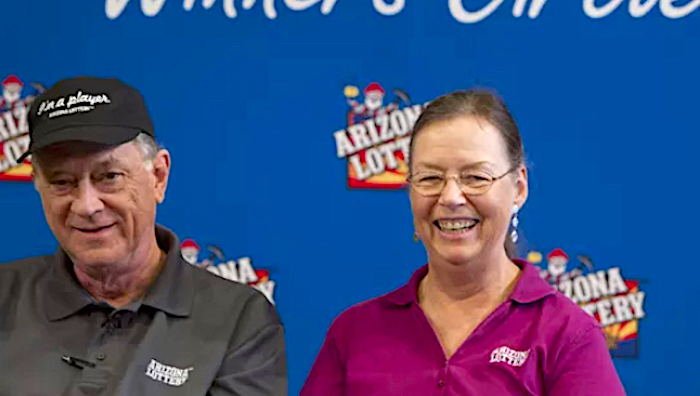 Diane and Kerry Carmichael persisted and bagged a second million-dollar jackpot in less than 20 years. I had to work and research for years to get the System to the stage where you could profit from it. While I was doing this I kept wondering... can I set a goal for winning the lottery that would work just as well? As lottery players our obvious goal is to win the jackpot. That's what every lottery player aims for. But it may not be your best idea. The chance of getting the main prize - even with the huge 98% advantage of my systems - means that 2% of it is still down to luck. So that's why back in 1991 I decided to make the goals for my system far more reasonable. My answer was to have many smaller goals instead of one giant one. No-one can hit the main jackpot prize without luck. So I figured the next best result to go for is smaller, multiple winnings. When you play, aim for the top anyway, and you will be surprised at where you get. Have a clear goal. There are always distractions to pull you away from the important jobs. I have cars to polish, admire and use... and every hour spent with them or the polish bottle means less time on the important issue of getting wins. So I make winning the lottery my top priority... and everything else comes second. It takes real guts to figure out what your priority is, and then work on it. You MUST get down to your local lotto shop and play your tickets on the days you've set. So don't let anything come between you and your top priority of winning. I could ramble on about this rule for hours. But the basics are simple. Everything you do must be Action related. Feel like taking a nice half-hour break with a cup of coffee? Wait a minute - shouldn't you be buying another part to your Silver Lotto System to boost your success rate? Don't you have to get down to the lotto store to play? Don't take it easy for too long. Take action in everything you do! I can not tell you how much persistence works well if you make it a priority. I hate unfinished jobs, so when something attracts my attention and needs to be done, I set to and finish it. Persistence is the secret I use to finish it off. Lotto is the same. It's easy to give up in the first few weeks when you don't seem to be making progress, but keep persisting, it will get you through. If you need to fill out your Silver Lotto System tickets (a once-only action), then push your chair away from your computer now and fill them out. If you don't overthink any task, you can get things done very quickly. Don't think about what steps you need to take, what tools you should use, what actions would conflict with what timetable - just got started. Do-It-Now has been the most powerful influence in my life. And the best thing is that is gives you a terrific feeling of accomplishment. There is nothing hanging over you. Your life becomes easier and more relaxed. Whatever you choose to do... Do It Now! Still shaking from my win, bought your Silver Lotto system last year and have played lotto regularly since, definite small wins and a few no wins, until last night. Checked my ticket online and I have won 1st division $22,236,652.87. Your system works.